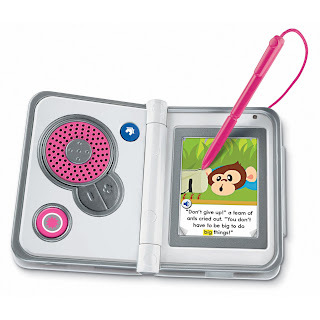 You can get a great deal on Fisher-Price iXL 6-in-1 Learning Systems at Amazon right now. You can get a pink or blue system for only $29.99 plus get free shipping. Amazon has a list price of $82.99. I thought this sounds a little high so I went to Fisher Prices' site. These do have a price of $80, but are on sale for $49.99 on their site, making this a pretty decent deal! An exciting handheld device, the Fisher-Price iXL 6-in-1 Learning System is a great introduction to technology that provides plenty of fun learning activities for young children. This sophisticated, yet kid-friendly toy features six distinct interactive options--such as a Digital Reader, Game Player, and MP3 Player--that will entertain and teach kids aged 3 to 7. By connecting this device to your computer you can add your own photos and music to the iXL, create profiles, and download extras that will enhance your child's experience. Don't forget to get some games! You can find a bunch of them here.